This entry was posted in Book Review, Memoirs and tagged http://memorywritersnetwork.com/blog/memoirs-helped-her-conquer-midlife/ by jerrywaxler. Bookmark the permalink. 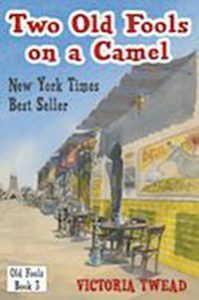 Thank you very much for your thoughtful review of “Camel”. You are quite right, I tend to tackle life’s serious challenges with humor, which seems to work for me. I’m just eternally grateful that readers seem to understand this and hop onboard with me for the ride. Many thanks, Jerry, for reading my scribbles and taking the trouble to muse over them.